Whether your office is a doctors office or a neighborhood health center, Clean Streak Inc. has medical office trained staff. We are bio/hazard certified specializing in preventive sanitation for virus control. 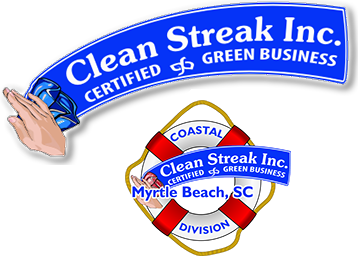 Clean Streak, Inc. maintains many doctor’s offices and other medical facilities. We understand the importance of proper disinfecting, sanitation and appearance of all areas from the lobby to the examination room. Your entire facility will always be “hospital clean”. Our trained staff is familiar with the needs of medical facilities and we strive to offer high quality medical cleaning services. Our staff also have received training in properly identifying and handling of potential bio-hazards. Requirements for HIPPA, OSHA, Blood-borne Pathogens, and other required programs are followed without fail. You can be assured that concerns over confidentiality and safety are never an issue at any of the medical facilities maintained by our professional staff. Our Green Earth cleaning program insures that all chemicals and processes used are the safest in the industry. Patients, visitors, and your staff will not have to worry about chemical irritation that can be the result of abrasive, non-green products and procedures.